The numbers go to show that the market is moving the direction of wearable technology and there will, seemingly, be many new features and improvements to these devices as newer versions are released throughout the year. 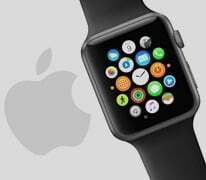 Apple Watch 2: In April of 2015, the release of the Apple Watch took place with much fanfare. During the remainder of 2015, the product topped $1.7 billion in revenue. 3 The exciting news moving forward is the anticipated launch of the Apple Watch 2. Although the date has yet to be announced, the expectation is to see a new version of the Apple Watch by the spring of 2016. So, what are rumored new features of this version? Battery Life: Various reports have claimed that Apple is planning to install a larger battery to the Apple Watch 2 in hopes to increase the assumed "24 hour charge life" of the previous version. The challenge for Apple is not increasing the size of the watch. The rumored plan is to work on producing a thinner OLED display to help accommodate the size increase of the battery. No official estimated charge life has been announced as of this post, but this is expected to be a priority for Apple. Health Sensors: This feature has been rumored to see a heavy increase with the expanded competition. 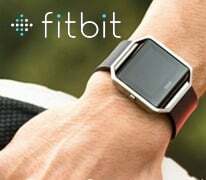 The individual new features of this have yet to be released, but are expected to be much more expansive than the current "standard" features that track hear-rate and activity tracking. FaceTime Camera: As with all other Apple products, it has become apparent that there is a demand for a front-facing HD camera with the Apple Watch 2. There is no guarantee that this feature will make the cut for the newest version in 2016, but rest-assured this is a top priority for Apple moving forward. 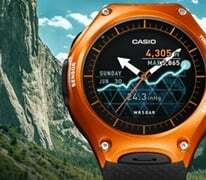 • You can monitor: altitude, air pressure, tide graphs, sunrise/sunset, etc.